Two new trailers dedicated specifically to the fifth and final episode of Batman: The Enemy Within, the episodic game series that continues Telltale's unique take on the World's Greatest Detective. Episode five, 'Same Stitch,' contains two separate storylines and two possible versions of The Joker, so each of these trailers focuses on a different potential experience. 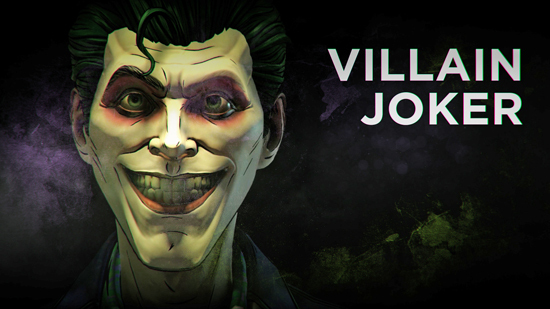 The choices players have made over the course of the season will determine which story - and which version of The Joker - they ultimately see in the finale. Same Stitch launches Tuesday, March 27 on Xbox One, PlayStation 4, PC, Mac, and mobile. You can download both episode five trailers - as well as screenshots, key art, and the full season trailer - by following the links above. More information about the upcoming finale, including the official episode description. "Who would you choose: a friend whose unhinged approach to justice turns your allies against you, or a sworn enemy who will stop at nothing to see you suffer as your city burns? Based on the relationship you've built with John Doe, you'll see one of two very different stories play out. So what'll it be, Bruce: friend...or foe?" As the description indicates, Same Stitch features two totally separate takes on the fully evolved John Doe: one a ruthless villain that hews closer to the classic Clown Prince of Crime and the other an unpredictable vigilante that's unlike any other portrayal of DC's iconic Super-Villain. 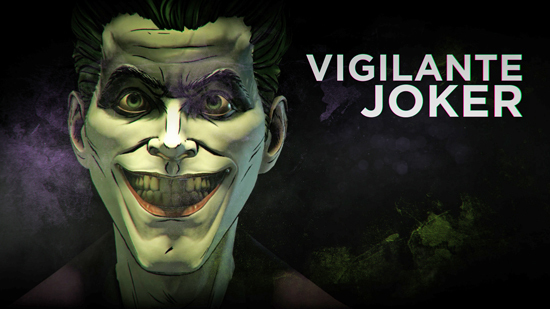 Rendered to look like a living, breathing comic book, Telltale's vision of Batman features an award-winning cast of talent including Troy Baker, who returns to his dual role as Bruce Wayne and Batman, as well as Anthony Ingruber, who reprises his fresh take on 'John Doe,' better known to fans as The Joker. A 'Season Pass Disc' for Xbox One and PlayStation 4 is currently available at retailers across North America and Europe. The disc includes the first episode of the season, as well as download access to all subsequent episodes as they are released. Batman: The Enemy Within is a standalone product separate from the first season of Batman - The Telltale Series. Both products are licensed by Warner Bros. Interactive Entertainment and based on DC's iconic character.